The YouTube content ID system allows the good quality content and helps the users to access the right videos without any copyright infringements violated content on its platform. It is the biggest reason behind why all the creators choose YouTube for their video development through many other video hosting platforms exist on the web. Many of you can receive the copyright strikes from the YouTube on your video content, and this can effect on your future video success on YouTube platform as well as time also get wasted and sometimes results in termination of your account. Sometimes it may be accidental to have a similar type of content and sometimes turn intention and violation of the rules. 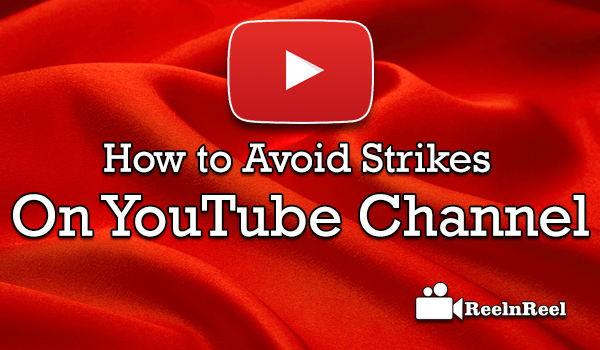 So, there are some tips to avoid the strikes on your content on YouTube platform. Copyright Mark has a great importance which relates to the intellectual property. So, many videos have the different logo which is a circled letter ‘C’ related to copyrighted, protected content. So, don’t use such type of material. There some millions of images content on the web. If you are not able to produce the new image content, don’t go for the copyrighted on image content. It is better to generate on your own. Create your content to upload it on the YouTube. Don’t forget to follow the rules and term of YouTube platform and create accordingly. Helps you to avoid the strikes on your content. If you are sure you are not copied or violated and yet you receive hit, you can counter file the complaint to CMS on YouTube.